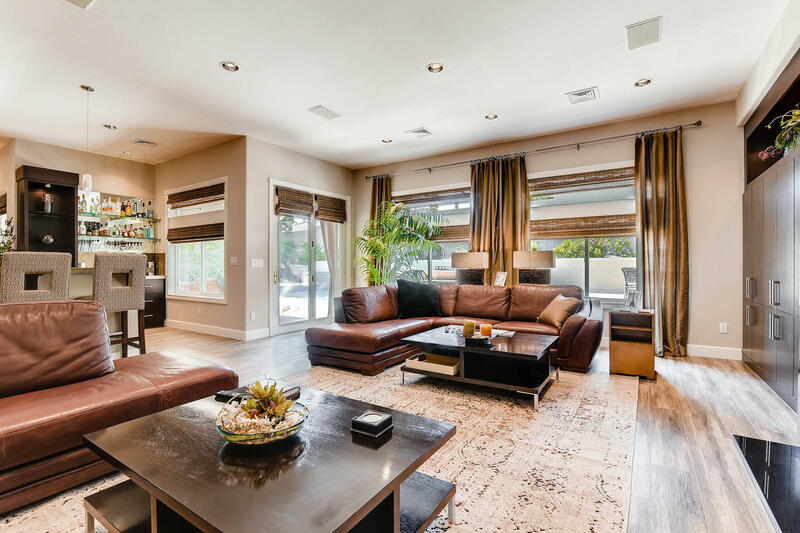 Seamless contemporary design meets sophisticated living in this beautifully remodeled Desert Shores home. 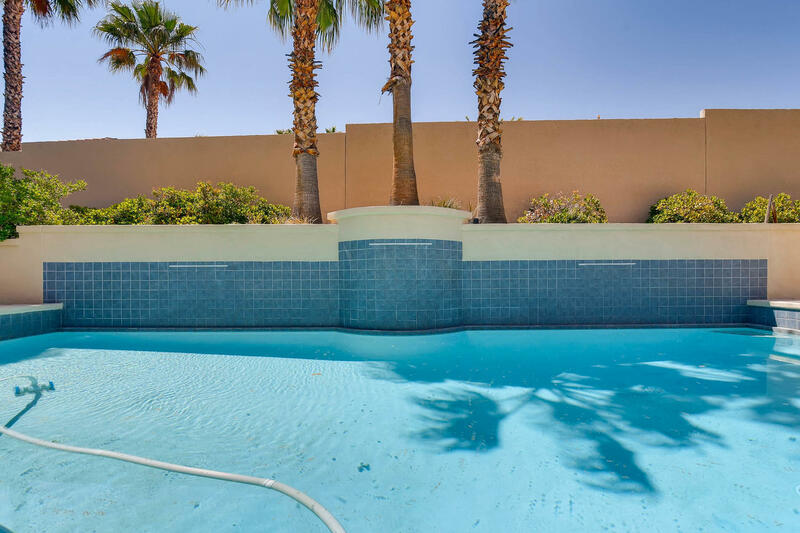 Welcome to 8121 Desert Jewel Circle, an exemplary home located in Diamond Bay at Desert Shores. 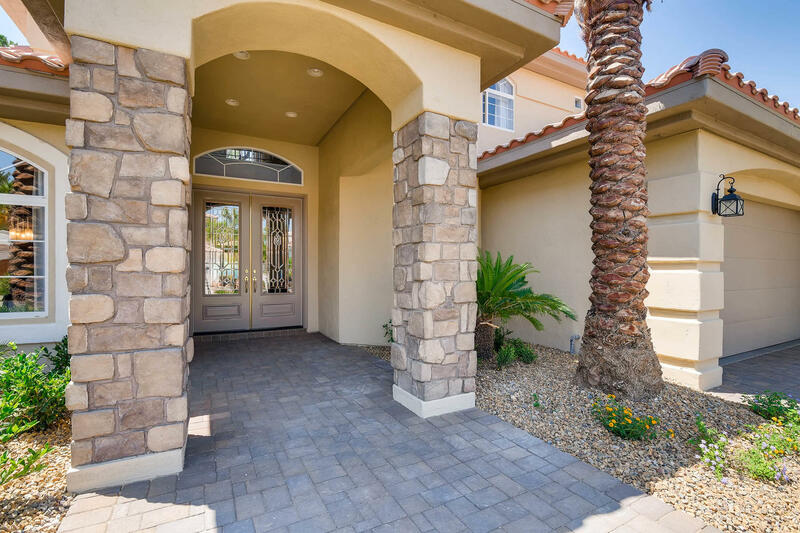 From your first viewing, it’s apparent this is far from a regular find among the beautiful neighborhood and manicured streets of this lovely neighborhood. 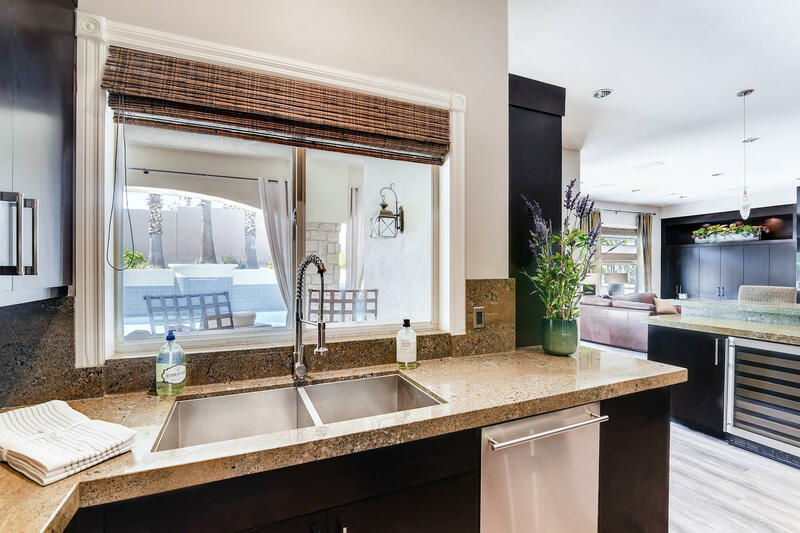 This 3 bedroom, 3 bathroom home has been completely overhauled, with great attention to detail throughout. 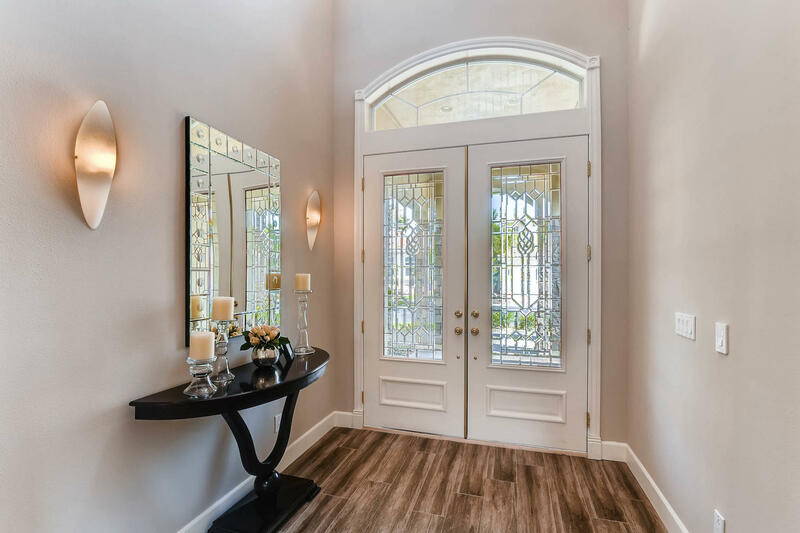 Through tasteful double front doors, you’re greeted by a dramatic and spacious ambiance. 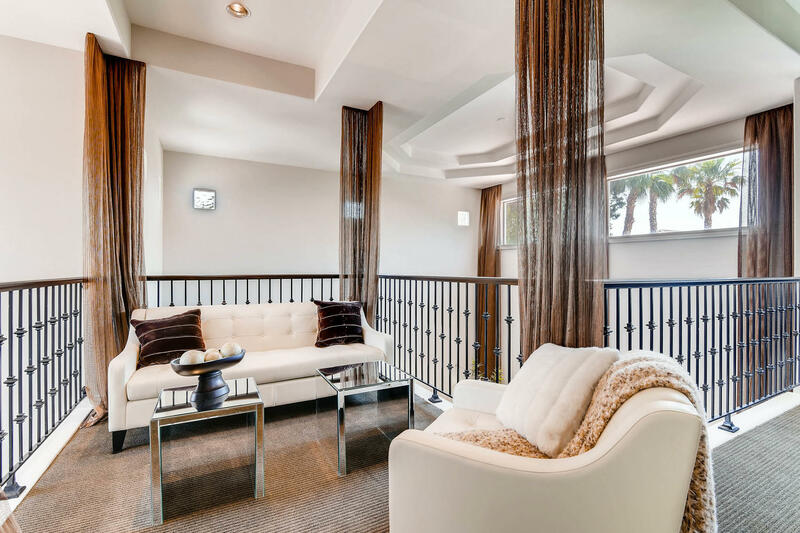 The living room features soaring ceilings and modish custom lighting that sets the perfect mood. 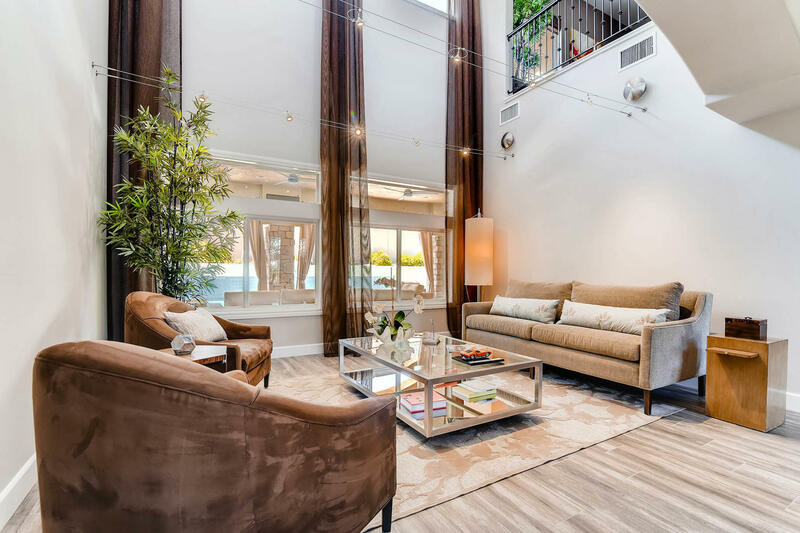 Contemporary floor selections hint at this home’s professional design, and large windows highlight the entertainer’s pool awaiting just outside. 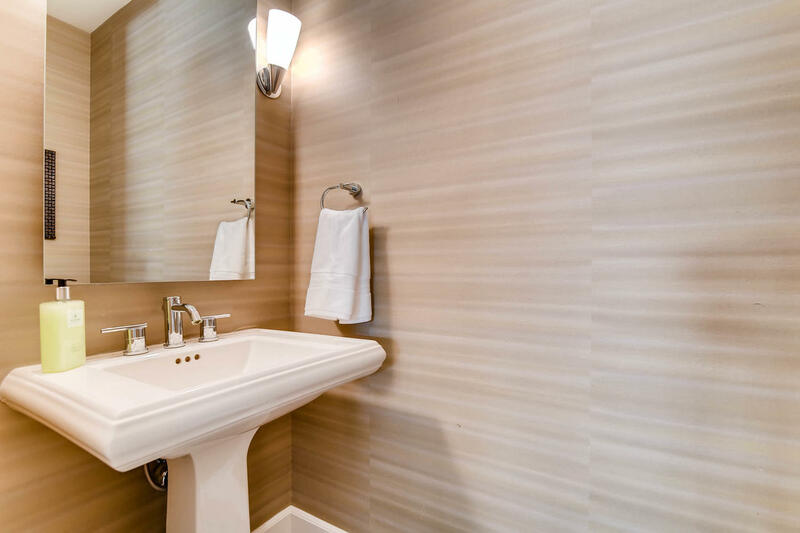 Custom touches not easily found. 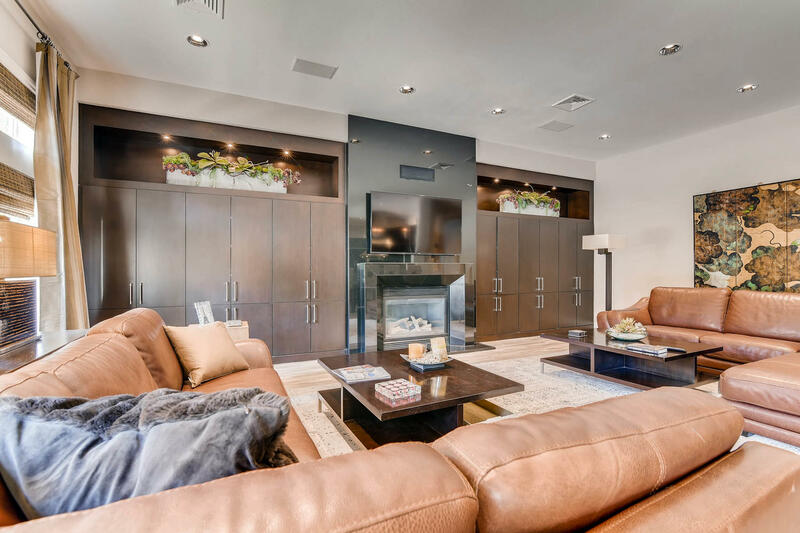 The family room and kitchen areas are nothing short of exquisite in their design and feel. 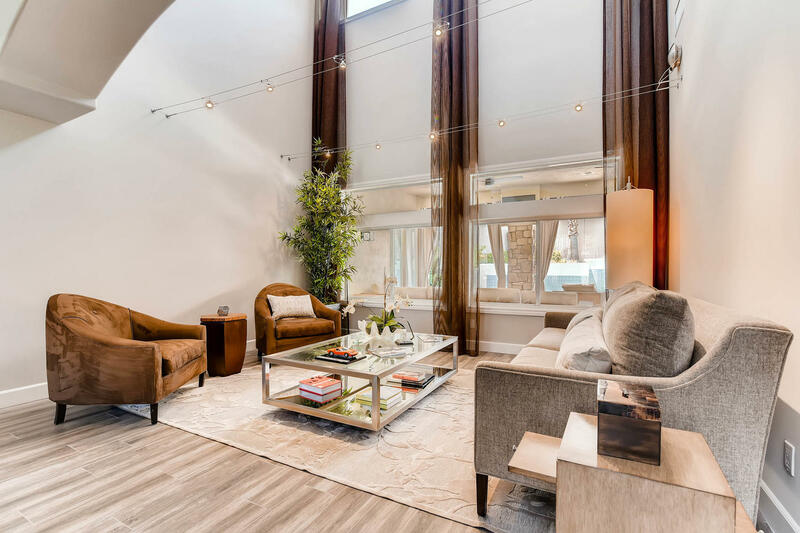 Oversized windows let the famous desert light flood in throughout the day, and a custom floor-to-ceiling entertainment center sets the tone for this year-around gathering space. 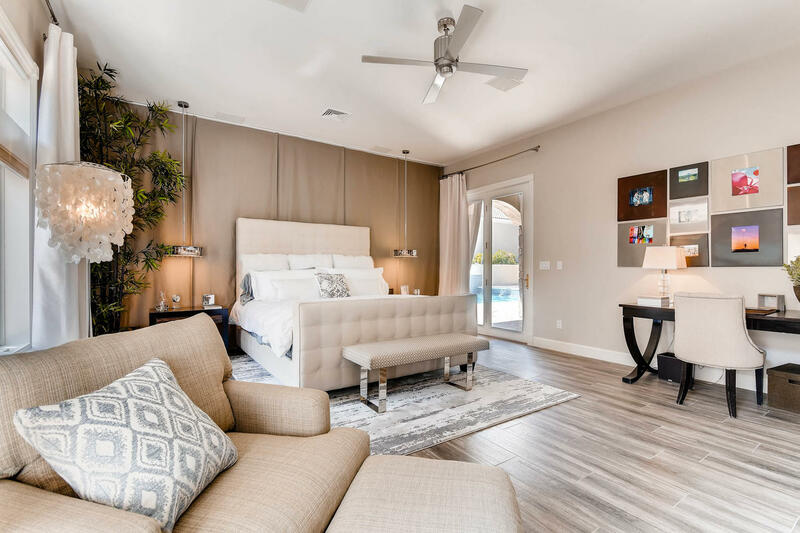 From the start, a professionally chosen color palette of neutral washed browns, light caramels, greys and whites was chosen and incorporated into this home, making it easy to weave your sense of style and personality into the already beautiful selections. 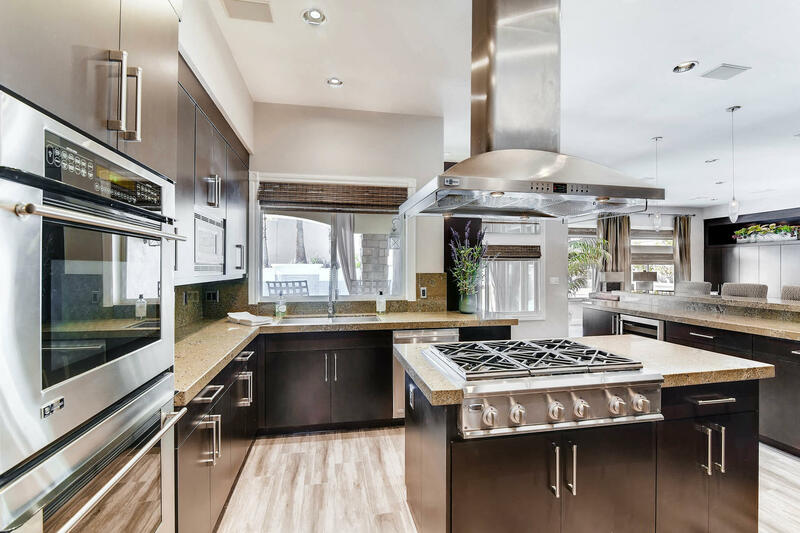 The chef’s kitchen is nothing short of a culinary masterpiece. 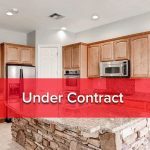 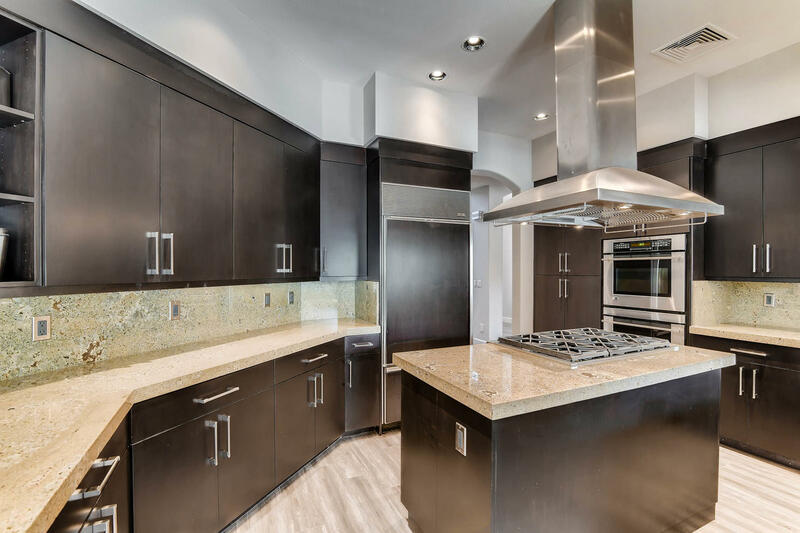 Custom design is highlighted by each cabinet and counter, with stainless steel appliances making quick work of any food prep task you can imagine. 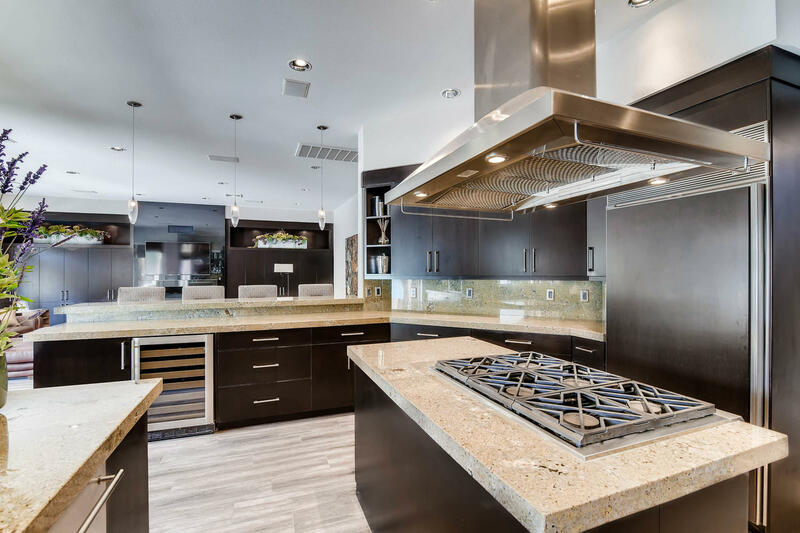 Other features include a custom stainless farmhouse sink, bespoke hardware and light fixtures to complement the rest of the home, and more! 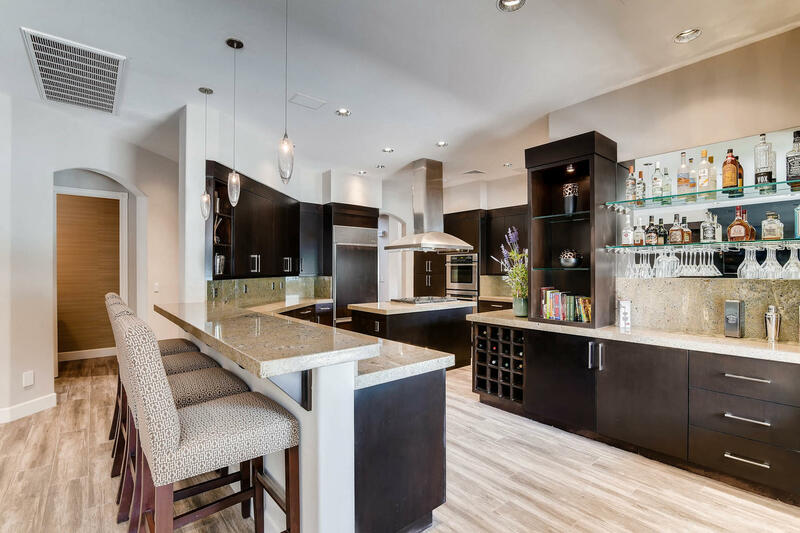 A dramatic wrap-around breakfast counter doubles as a bar as well, including wine storage and custom shelving to display your favorite libations and glassware. 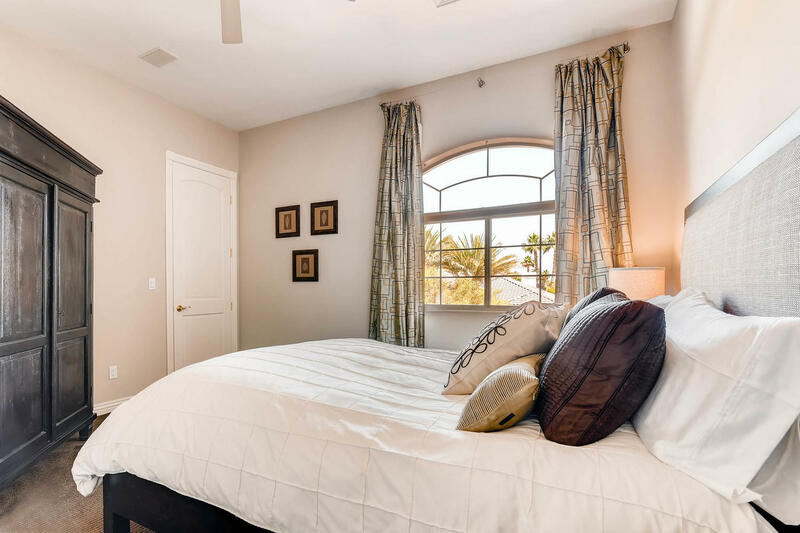 Three exquisite bedrooms can be found in this lovingly decorated home, with the stunning master suite located on the main floor. 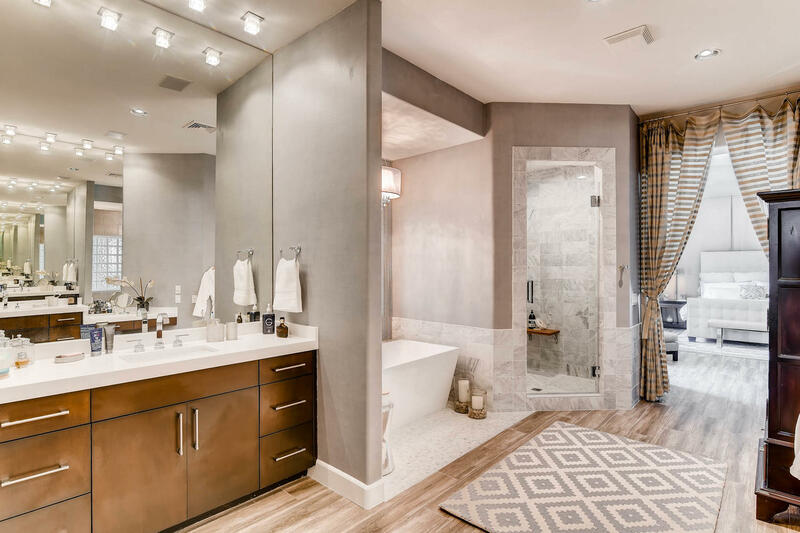 Direct patio access and tall ceilings create a spa-like world that is all your own, with a custom bathroom to boot. 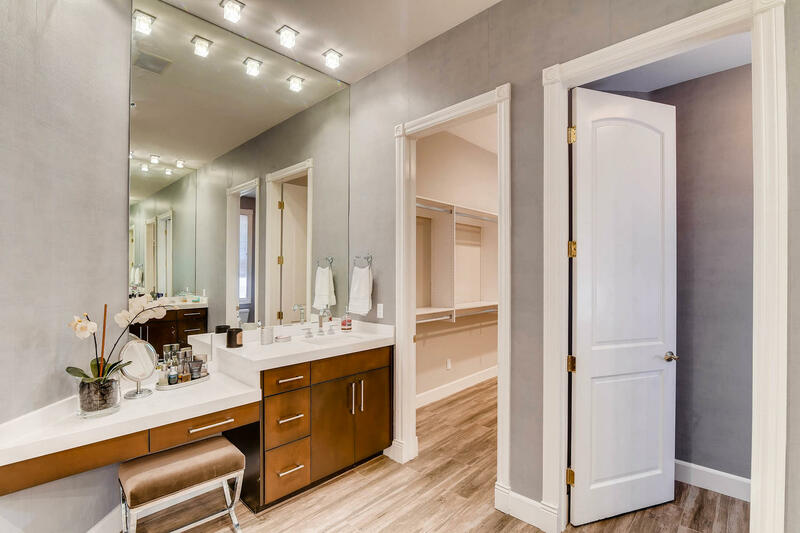 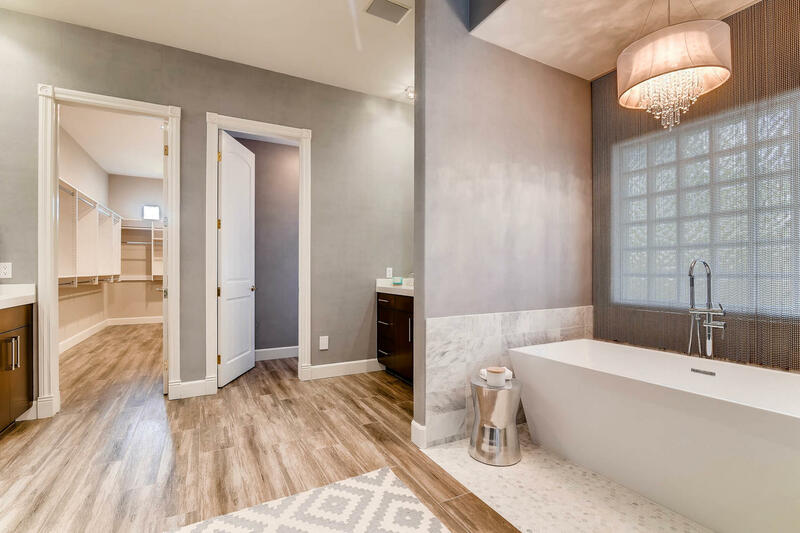 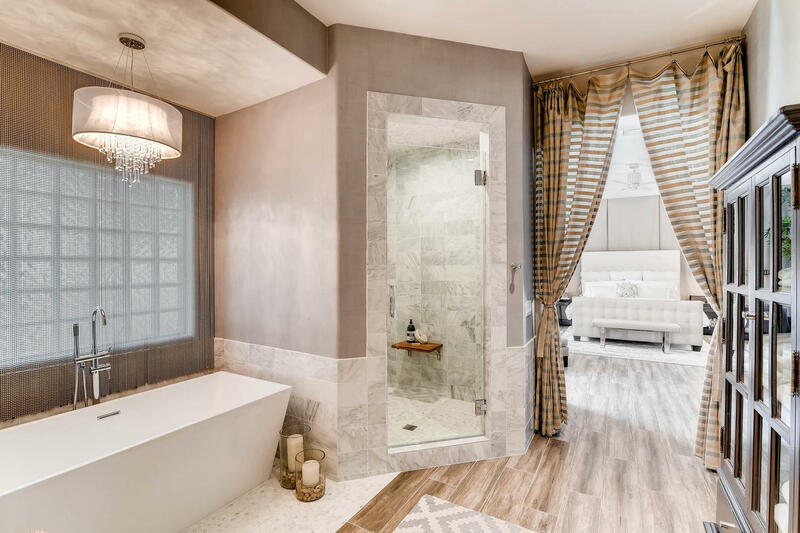 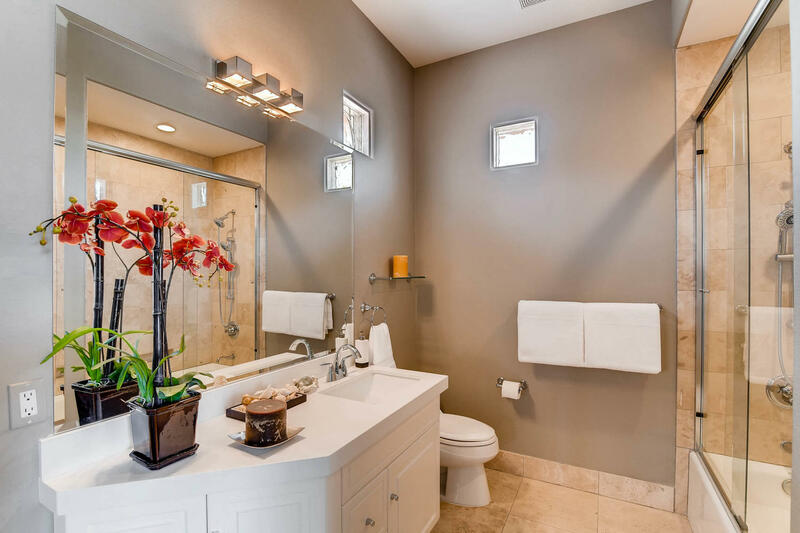 His and hers vanity areas, custom floors, and remodeled tub and shower areas finish this elegant bathroom in glorious glam fashion. 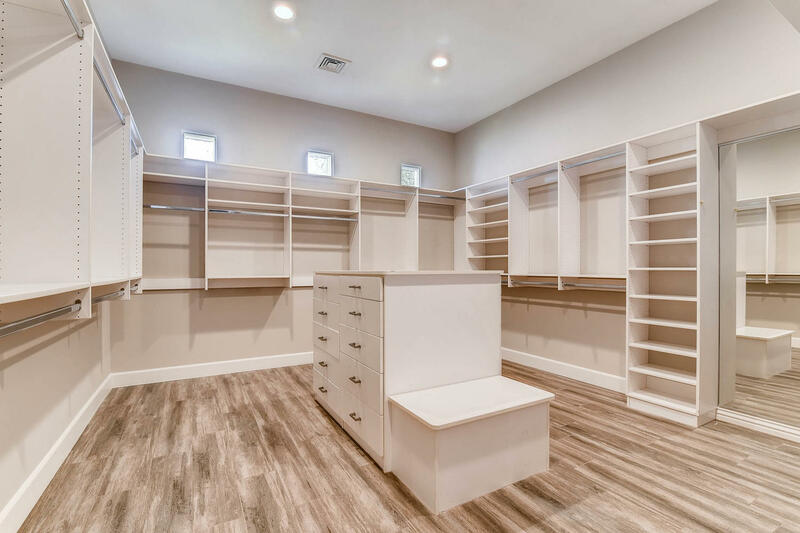 Walk-in closet space also benefit from this home’s extensive renovation, receiving upgraded finish work throughout. 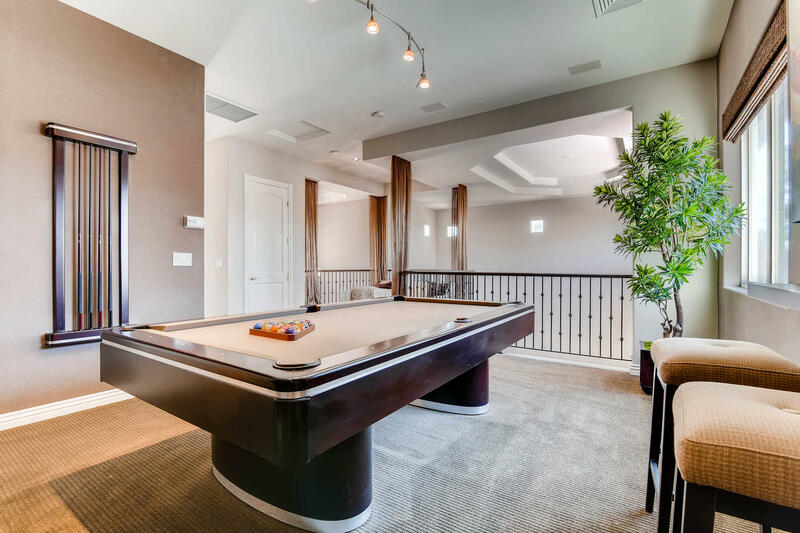 Upstairs, you’ll find a landing turned billiard room and intimate gathering area with two additional junior bedrooms. 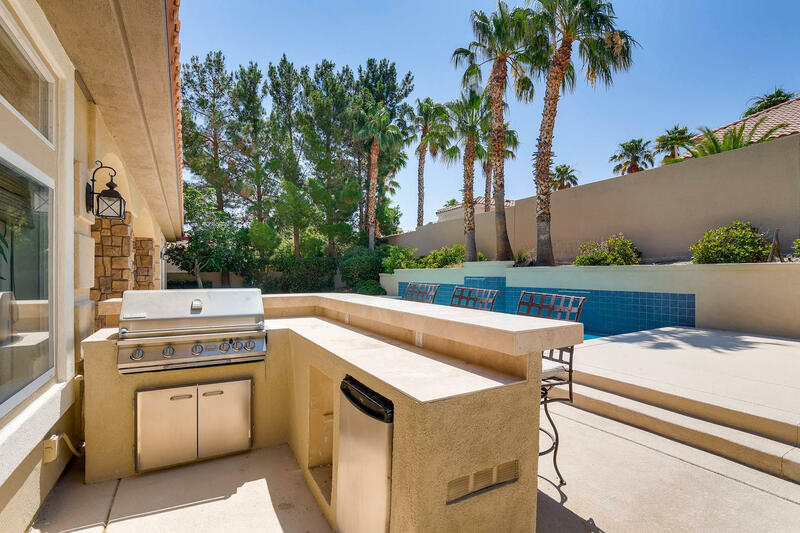 This home boasts countless designer features and renovations, with a lavish sparkling pool & built in BBQ found in the backyard. 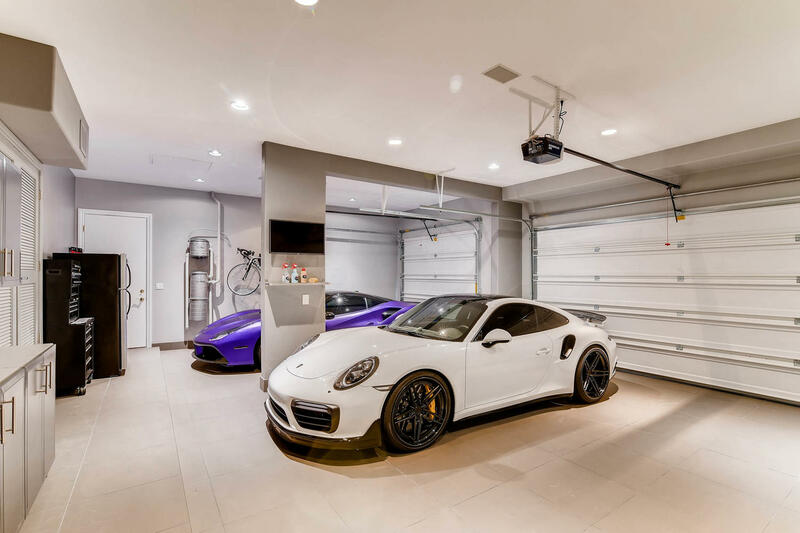 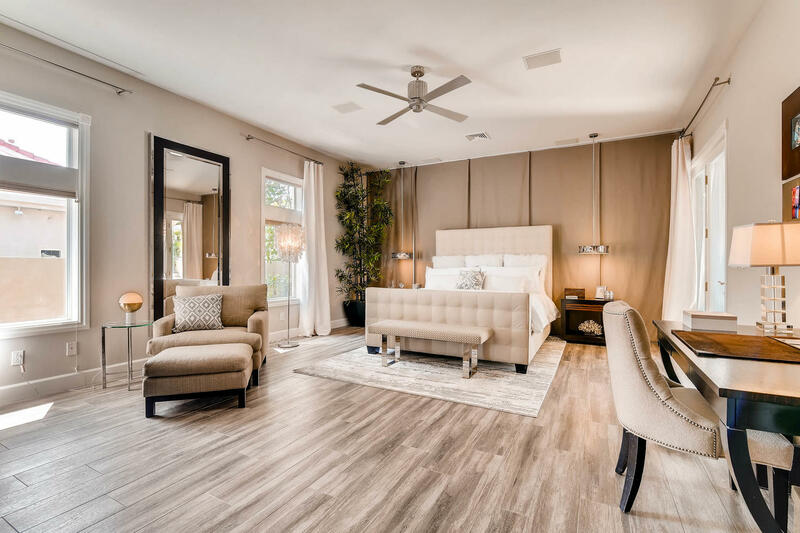 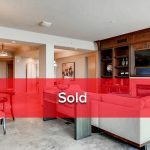 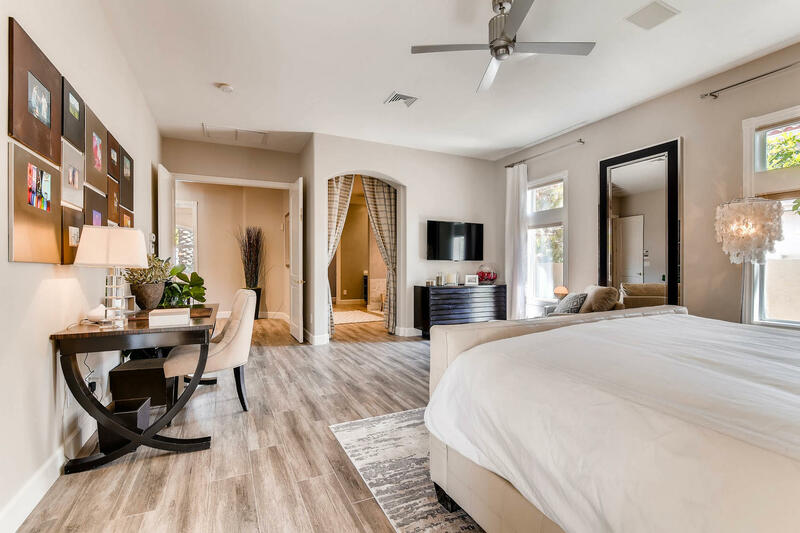 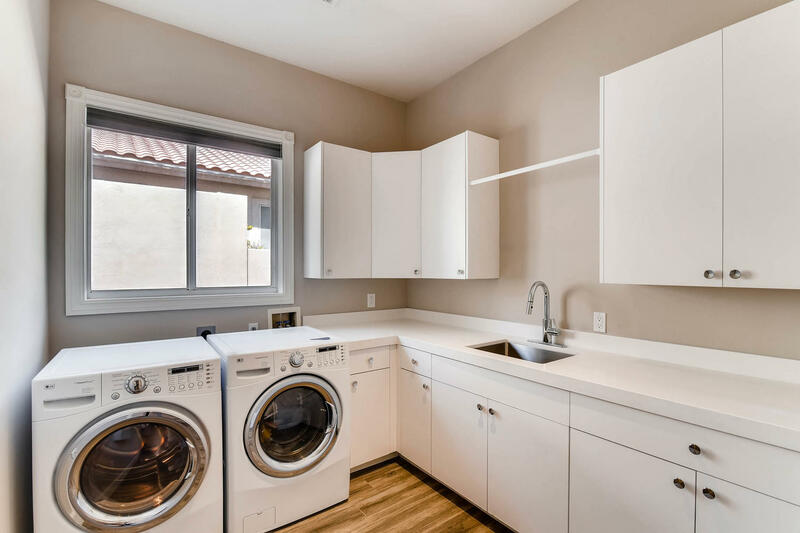 Other opulent additions include a remodeled laundry room trimmed in all white finishings, and an auto connoisseur’s 3-car garage with top-of-the-line storage cabinetry and recessed lighting to show off your pride & joys in high fashion. 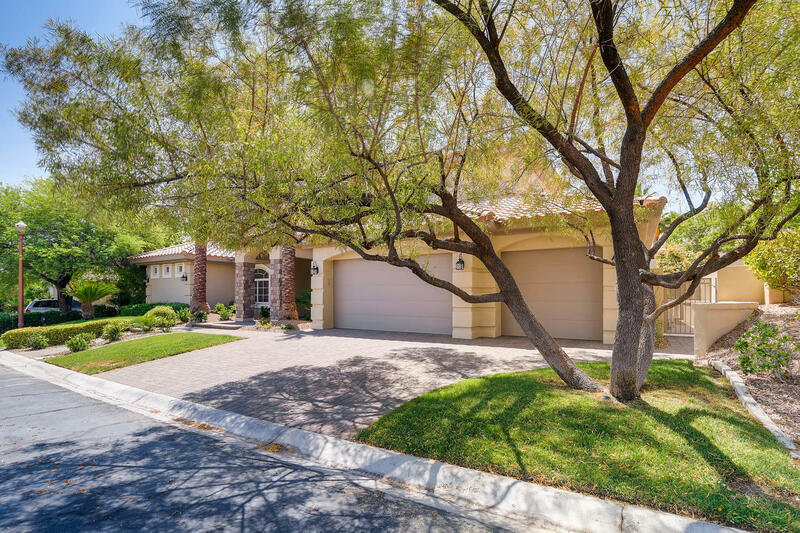 This beautiful residence is located in Summerlin, among the elegantly manicured homes of Desert Shores and surrounding areas. 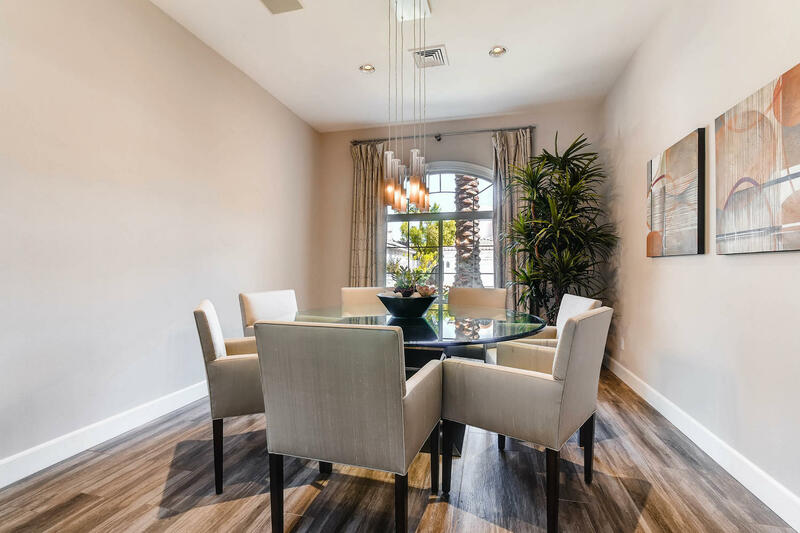 Homeowners enjoy close proximity to easy shopping, dining, and schools for children.